Home Amazon Disney Mickey Mouse 2 Slice Toaster – Best Price DEAL! Disney Mickey Mouse 2 Slice Toaster – Best Price DEAL! Disney fanatics will want this Mickey Mouse Toaster we found on Amazon!! 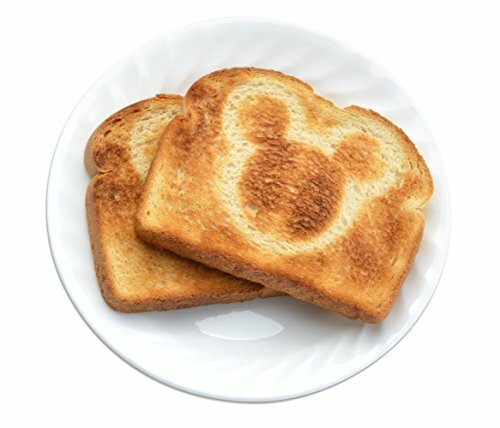 It can toast Mickey’s image onto bread. How fun!! Hurry and get the Disney DCM-21 Mickey Mouse 2 Slice Toaster, Red/Black today for only $10.61 from Amazon! Save 58% off the regular price of $24.99! This is the best price ever on Amazon! Check out all of the recent Amazon deals here! Amazon Prime members get FREE 2-day shipping!! If you are not a Prime member, get FREE shipping when you purchase $25 or more of eligible items across any product category. Check out the Mickey Mouse Toaster details below. Buy the Disney DCM-21 Mickey Mouse 2 Slice Toaster, Red/Black from Amazon.